The RTS game where you fight a flock of red objects with your own flock of blue objects. Everyone in your flock of blue objects follows your mouse, all the time. 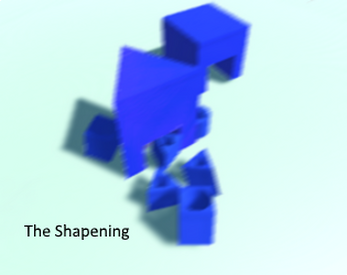 To beat other objects you need to match the shape they have on themselves. To make new buildings you need to make more shapes/destroy enemy shapes. To create new objects you click your buildings when they're blue.